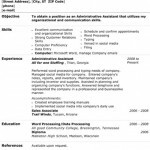 ← CV – Curriculum Vitae – Do you need one? 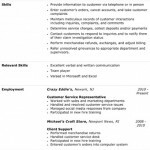 On this page you will find administrative assistant resume templates as well as templates for other jobs in business, office, and professional environments. Click on an image to see a larger version of the resume and to visit the download page. Click on an image to view it at a larger size and be taken to the download page. Check back frequently as new resumes will be added often. For more information on Administrative jobs, click here.